hello and welcome back on my blog! i’m very much excited about this article because it’s going to be (as you guessed by the title i suppose) my tbr (to be read) for the sailormoonathon! created by the twitter user @bookishpisces , the sailormoonathon is a two weeks team based readathon inspired by sailor moon! it will start on may 1st and end on the 20th. you can find more information about it on their twitter account HERE! without further ado, here are the prompts for each character! i picked harry potter and the philosopher stone! 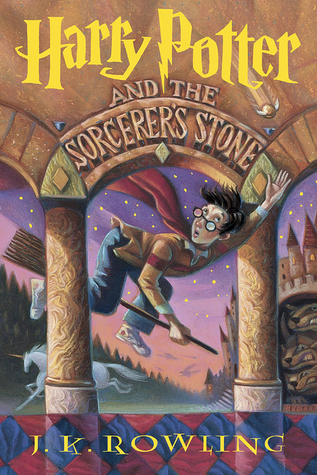 harry potter is the first book series that made me obsessed with reading and it’s been ten years now since i read the first one. to celebrate, i want to re-read them all and annotate them. i want to read them in English this time (my first language being french). so i’m veryyyy excited for this! 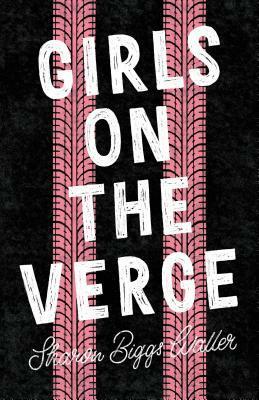 i picked girls on the verge by Sharon Biggs Waller, because of the main topic of the book, which is abortion. i think that book will make me cry and it’s challenging to me because i don’t really like to read sad stuff? i look forward to read it tho, i’m sure it will be amazingly well written and i can’t wait to see how i end up liking it. 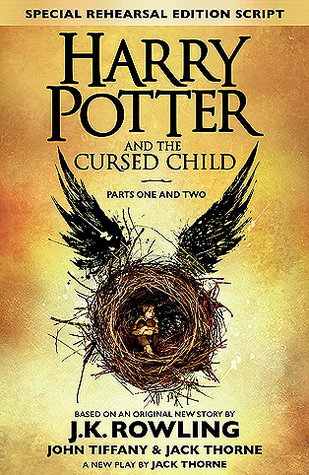 another book in the harry potter universe! i bought the cursed child when it came out a few years ago and…. dnfed it. yup. i don’t know why, i just never got into it? but i decided to give it a go again, so i hope i end up actually finishing it this time. also, they’re wizards so that’s where the special abilities come from. ok guys. the book i picked for this one is a book i’ve been WAITING to read for a whileeeee. 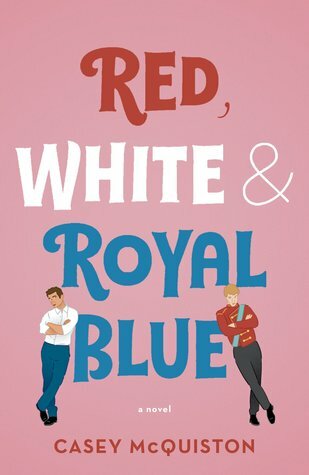 it’s red, white & royal blue by Casey McQuiston! i don’t read royal themed books often but i feel like i’m finally due for one, plus this one is gay??? and it’s just, so much better? and i’m pretty sure it’s also has an enemies to lovers trope or a fake relationship type of thing? i’m not too sure but i’m excited to find out! it comes out on may 14th, so hopefully i’ll get it by the 16th and will be able to read it in four days lmao. i literally took a few days to find a book that included fire in any way, and i couldn’t find anything??? 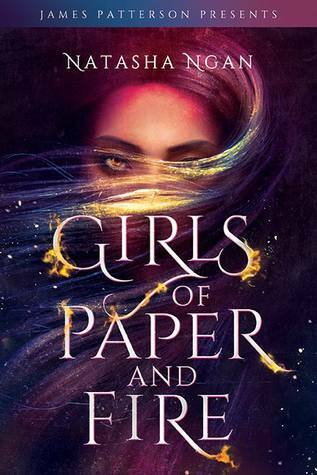 until i was on twitter and saw a tweet about girls of paper and fire by Natasha Ngan! so i obviously decided to add it to my tbr. i heard a lot of good things about it and it has some lgbt and poc rep, which i’m all about, so i hope i enjoy that one! 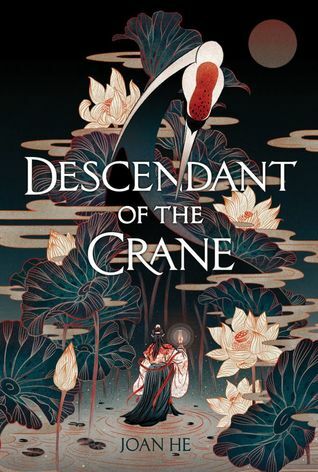 aaaah so for this one i had two choices, but ended up choosing descendant of the crane by joan he! i heard a LOT of great things about this book and i want to read more diverse authors!! i’m scared of nothing getting hooked to the story but i still feel extremely excited to start it, as i said, i only heard positive things about this book. 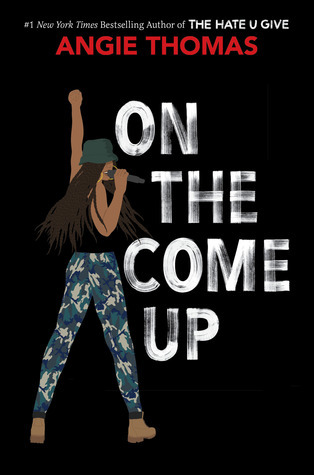 for this sailor, i picked on the come up by angie thomas! do i even have to say why? i love angie thomas and i loved the hate u give. i’m excited to finally start that book everyone has been talking about and to get my mind blown once again by that amazing author. i feel like this one is s biased??? a gorgeous cover to me, won’t necessary be a gorgeous cover to someone else. 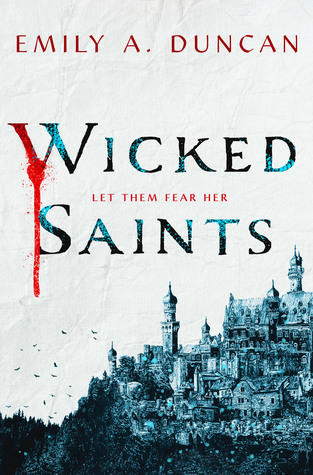 i picked wicked saints by Emily A. Duncan, because i saw some pictures on twitter and the cover looked kinda glittery-ish?? and i loved it. and booktubers also said it was beautiful. 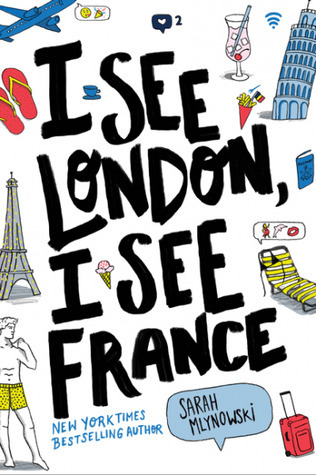 i picked i see London, i see France by Sarah Mlynowski, because i bought it randomly at the book store a month ago and never got the time to read it. i love contemporary ya romance novels and i hope to enjoy that one. it looks cheesy and funny. 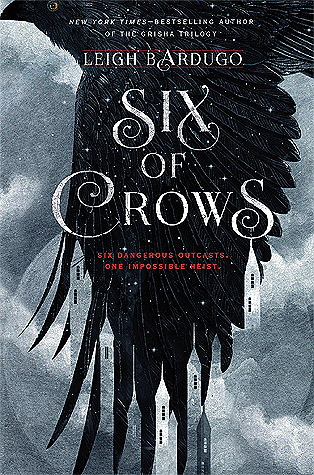 here’s the thing: i’m not sure if six of crows is a dystopian book? but i think so?? i made some google researches and some people qualify it as a fantasy-dystopia type of book. so i’m gonna put it as my sailor pluto book, mainly because i don’t read many dystopian books anymore and it’s on my to be read so why not! i have some HIGH expectations for this book, that i don’t think will be met, but i’m trying to be positive and will do my best to enjoy it. this book looks so cute!!! i’m sure you all heard about it, but basically it is about a guy that goes back in time to save a girl he has a crush on????? 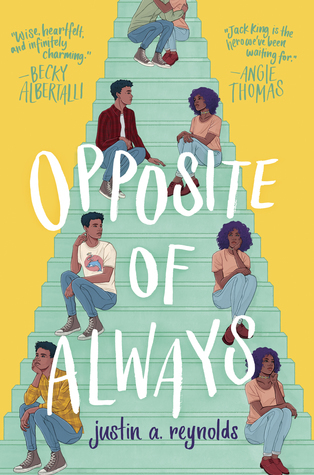 i’m not usually big on time travels and such but this sounds really cute and funny, so i cant wait to get into it and hopefully read it during the readathon! so this is what ends my tbr for the sailormoonathon! i’ve never done a readathon before, so i’m really pumped for that one, especially since it will be right after my exams are done! i know i won’t read all of them in the readathon, but i’ll try to eventually finish all those books before the year ends lmao. find me on twitter @recsfrmurfriends! ps. have you ever participated in a readathon? if yes, which one? 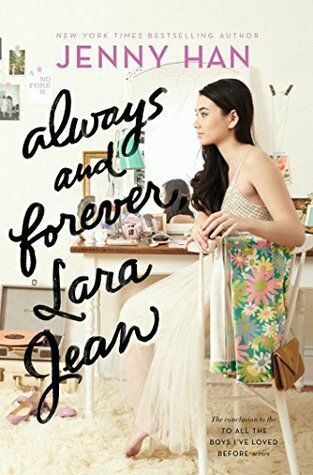 book review: always and forever, lara jean by jenny han | SPOILER ALERT! i started reading this serie in august, after i saw the movie and fell completely in love with peter and lara jean (not but for real, i think i saw the movie like five times.). my sister had been bugging me about reading the books wayyyyyy before the author got the movie deal but i don’t know why, i just was not interested in it. let me tell you, i regret not starting this earlier. it is just so amazing, i can’t even describe how i feel. i love a good contemporary ya romance novel, something cheesy, but also funny and with characters to who i can relate, and this is what jenny han gave me with the to all the boys serie. i absolutely loved the characterization of every characters (is that redondant?) and i thought they each had something special that made me feel attached to them, to the point where i actually felt sad at the end of the third book because i knew i wouldn’t see them anymore. i love books that are written in a simple and effective way, and that’s what i loved in always and forever, lara jean. my first language is not English and often it takes me a while to read books in English, because there are some expressions that i just don’t understand that well. however, this book was beautifully written and was straight to the point when it came to the way the sentences were written. just like lara jean, i have two sisters that i love very much. i’m not going to compare my sisters and i’s relationship to the song’s sisters’ because both are very different (although my baby sister is very much like kitty), but i loved seeing margot, lara jean, and kitty interact together. their relationship is so strong and you can actually feel their love for each other as you read the book. i think this book was very realistic and was not as cliché as i thought it would have been? there were some tiny twists that, sure, some people could have probably guessed, but that i didn’t and was like woah during them. lara jean and peter’s relationship. i think they complete each other pretty well and they are SO in love, i swear i was cheesing so hard while reading them together. i love how peter promposed to lara jean in new york, i love how he went and got her some cookies, i love that she made him a scrapbook, and there are many other moments they had together that i loved, but that i won’t include here but feel free to @ me on twitter if you want to gush about them. i also loved peter and kitty’s relationship. they are so funny together and you can tell that peter genuinely loves hanging out with kitty and isn’t just.. tolerating her. a moment i loved is when kitty taught peter how to braid hair. and can i please talk about miss Katherine song covey in general???? definitely one of my FAVORITE characters in this book. she’s only 11 and stands up for what she stands for, is not afraid of stating her opinion and is so freaking funny!!!!! i loved that she wore a tuxedo at her dad’s wedding. i loved lara jean as a main character, and i think she’s one of the only few main character i truly enjoyed, even if she did stuff i don’t particularly agree with. i could see myself in her and i could also see myself want to be more like her. i’m just going to say it: ever since the first book margot got on my nerves. i don’t know why, i just did not click with her as much as with the other characters. i find her judgemental and just over all annoying. i did not like how she acted with trina (like come on margot you’re in Scotland half of the time and you barely know trina, can u not????) or with peter (i get that he was a douche before, but it’s like she never really tried to like him). another thing in the book that annoyed me was lara jean talking to peter’s dad at the lacrosse game, and then keeping it a secret for so long. i also did not like how pushy she was with peter about his dad. i know she did it because she wanted him to have a relationship with his dad, but i feel like none of that was any of her business and that it was very out of place. i also did not like how she acted towards UVA at alllllll. i felt bad for her when she got rejected, because she and peter had all those plans, but for a while it really felt like she was just living to be with peter, and not living to be herself? i’m not sure if i’m explaining myself correctly here. what i’m trying to say is that i feel like she should have made more efforts to live outside of peter. i got so happy when she got accepted to UNC and when she visited the campus with chris! omg, another thing that got me super annoyed: peter kavinsky’s mother. that woman is an over protective mama bear and i can’t believe she had the audacity to talk to lara jean and to basically try to make her break up with peter???? she was just projecting peter’s dad and her relationship on those poor teenagers who are NOTHING like them. that moment disgusted me. stormy’s death made me really sad. my sister spoiled me, but i still got so sad when i read it. i loved stormy, she helped lara jean get out of her shell and she was extremely funny. i also felt really sad when peter came back from his first lacrosse practice with his UVA team –he was so defeated. it was weird to see him that way, he’s usually always so confident. i was really scared he might break up with lara jean at that moment, especially since he was not super thrilled that she got accepted into UNC. so that’s it for this review! i really do recommend this serie, especially if you watched the movie but wasn’t sure if you should read the books. ps. have you read the serie??? who’s you’re favorite character?? what did you think of the movie if you saw it? about the blogger! first post woo! inserting a pic of my zepeto because i did not feel like taking a picture of myself. no, i don’t have green eyes. if u have a zepeto too lmk i luv going on this app once a month and having the time of my life. hello, and welcome to my blog: recsfromurfriend! my name is saoudia, i’m a twenty years old business student who lives in montreal (canada) and i’m a big book lover (duhhh)! i started this blog in order to get more involed in the book community and to make new friends who also loves books, because i don’t have many irls that do read, sadly. so i’m gonna give you guys more information about myself! my favorite singers/groups are ariana grande, exo, blackpink, loona, king princess, tayla parx, jaden smith, and even more! i love to binge watch tv shows and some of my favorites are definitely grey’s anatomy, star, and queer eye! i like to play pocket camp on my phone (it’s the cutest game ever) and i don’t know what else to say about myself, so i guess i’m gonna get into the book talking now! i used to be the biggest fantasy lover when i was younger but now i have to say my favorite genre is definitely contemporary books. i’m a black girl and i loveeeee any book that has a lot of diversity in it. i have to say, writing this first post is kinda making me nervous, i don’t know what to insert really so i feel like i’m rambling, kinda? but i hope that if you’re reading it, you’re enjoying it so far! anyways! my all time favorite book series are harry potter (i’m a slytherpuff! yes, yes! ), i have a soft spot for the shadowhunters series (i read them all until city of lost souls, which i will eventually read…maybe…), and twilight (it’s a guilty pleasure of mine). i also loved the book carry on by rainbow rowell (im soooo excited for wayward son!!!!) and i’m currently reading always and forever, lara jean (i KNOW i’m sooooo late to the hype but…yeah. )., and i have to say that peter kavinsky is my crush of the moment. literally… me at every cute interaction peter and lara jean have…. LITERALLY. some famous books among the ya book community that i haven’t read or finished are hunger games, six of crows, and throne of glass. maybe i’ll read them one day, who knows? one of my goals is to write a novel. i don’t mind not getting it publish, but just for my personal pleasure i would like to finish one of my wips eventually. on this blog you can expect book reviews, posts about me ranting on a character, hopefully some blog tours post (if i become popular enough!! it’s one of my goals to participate in a blog tour, they’re so fun!! ), some funny tags, me talking about my wips, and many other stuff!! i really hope you enjoyed this first (of many, hopefully) posts of mine, and i wish u the best day/night/whatever time it is! ps. QUESTION BEFORE U LEAVE!!!! i need more books to add to my tbr! what can you rec me? anything contemp or mystery or ya or fantasy works with me! thanksssss! hiiiii, it’s me! ur friend! my name is saoudia, i’m 20 years old and i’m from montreal, canada. i’m a very busy business student who loves to read and who dreams about being an author one day. this blog is about books i’ve read and my thoughts on them. i hope you enjoy reading with me!